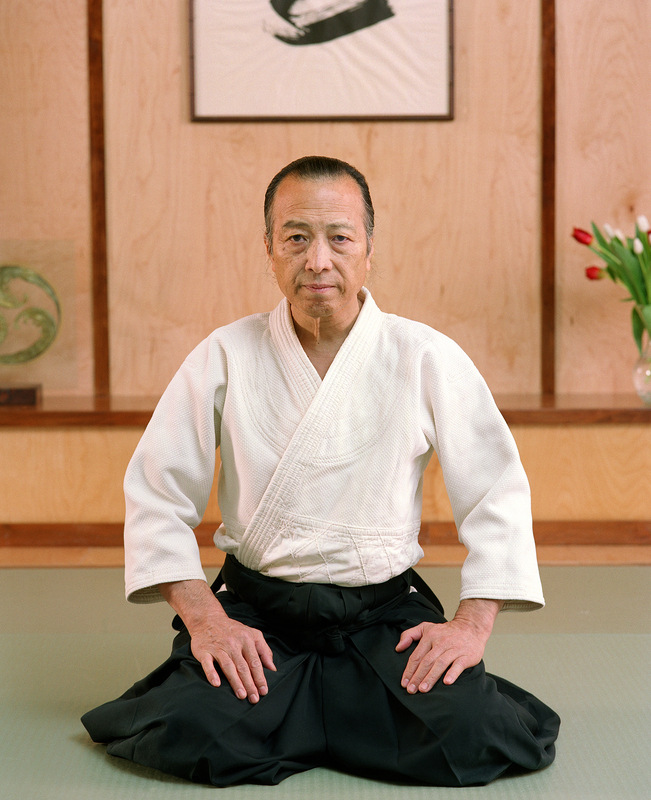 Imaizumi Sensei began his Aikido career in April of 1959 while a student at Waseda University in Tokyo. 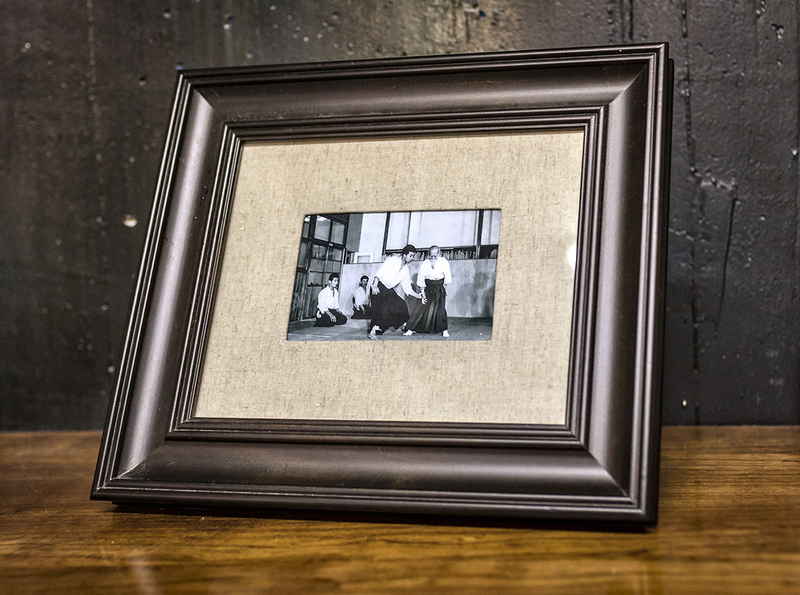 Waseda was a 15-minute walk from the Aikikai Hombu Dojo, and on May 1st, Sensei saw an Aikido demonstration by Morihei Ueshiba (O-Sensei, the founder of Aikido) and started studying Aikido shortly thereafter. 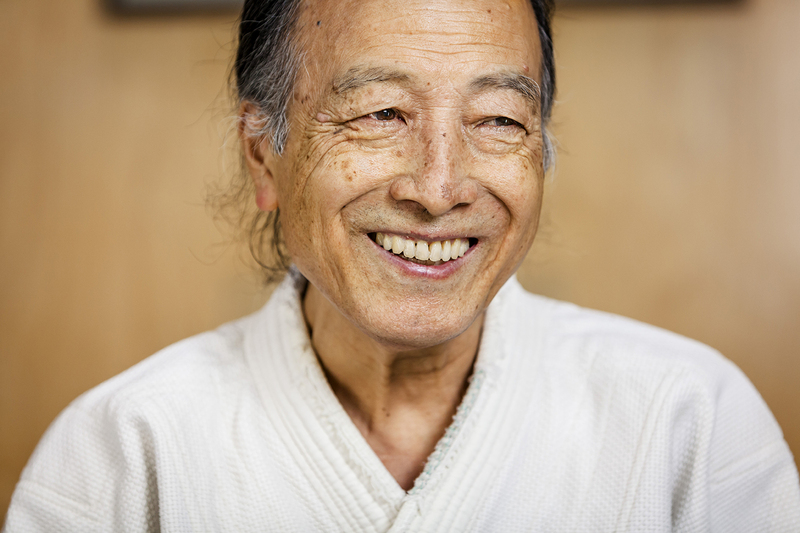 In 1965, with a rank of 3rd dan (3rd degree black belt), Sensei Imaizumi became an apprentice to the teaching staff (shidoin) at the Hombu Dojo and his career as a professional Aikido instructor began. During this period he frequently took ukemi for O-Sensei during the early morning Aikido classes when O-Sensei would demonstrate and teach. After O-Sensei’s death in April of 1969, Imaizumi-Sensei was chosen to accompany Waka-Sensei (the son of O-sensei) and his wife to enshrine the remains of O-Sensei at the Ueshiba family graveyard at Tanabe. Imaizumi Sensei was an instructor at the Aikikai Hombu Dojo until 1974 when he joined Koichi Tohei Sensei in his new organization, the Ki-no-kenkyukai (Ki Society; Shin-Shin Toitsu Aikido). 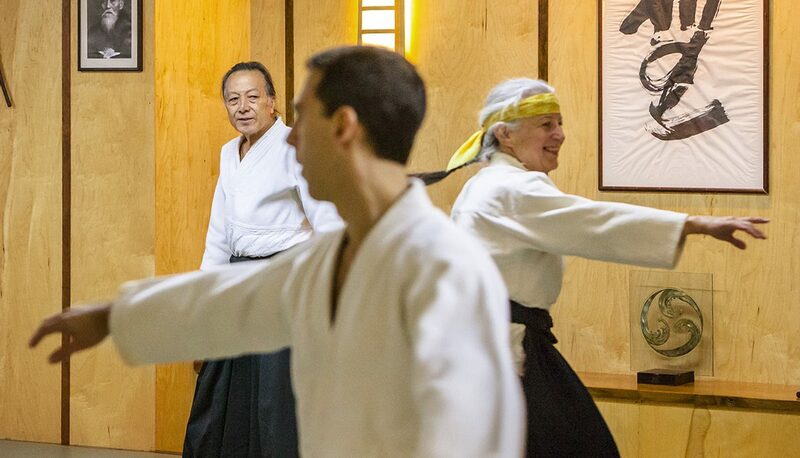 In July 1975, Imaizumi Sensei came to New York to found the New York Ki Society and assume the role of Chief Instructor for the Eastern Region and the US. In September of 1987, he resigned from the Ki Society. Shin-Budo Kai was founded in October 1988. 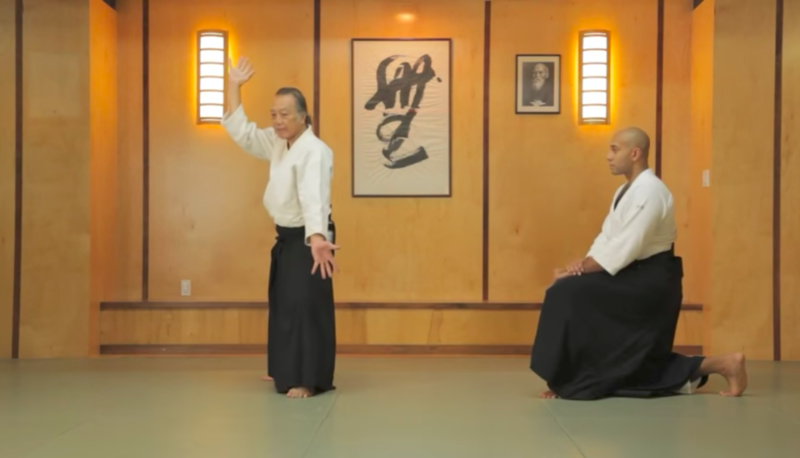 Imaizumi sensei continues to follow the teachings he received from O-Sensei, while developing and offering his own perspectives on technique, form and philosophy. Above: A picture of sensei as uke for O-Sensei when he was a shidoin. 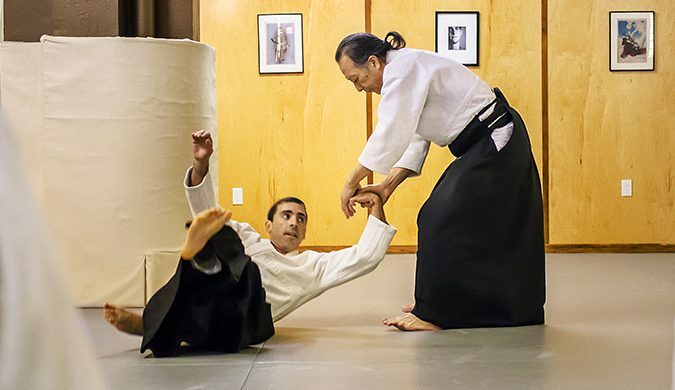 Aikido feels great to practice and may surprise you with its wide range of applications, from humane self defense to an increase in overall positivity and productivity. 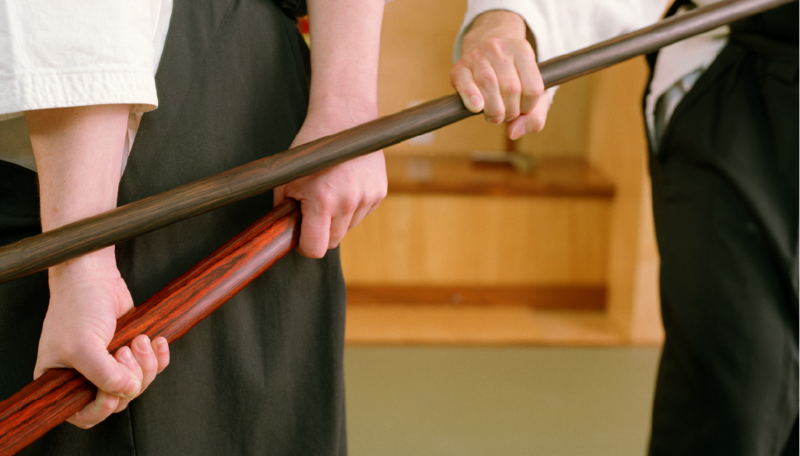 To study the wooden sword and staff (bokken and jo) is to study the fascinating history and culture of Japan. Even without context, classical weapons training increases core strength, stability, and concentration. 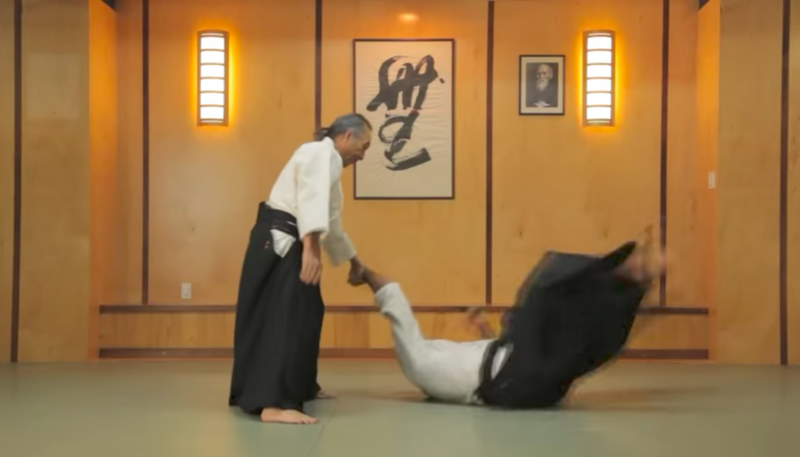 Combining Shin-Shin Toitsu Do ("Japanese Yoga") with martial methods, Ki training is well known for its healing properties for both body and mind. These practical exercises will help you improve in any martial art, sport, or lifestyle. Ikkyo is the first in a series of five basic methods for blending with and redirecting the energy of your partner (or the attack of an opponent), with the goal of repelling or restraining them with minimal force. A study in multitasking, Tenchi-nage allows the aikidoka (Aikido practitioner) to experiment with handling two problems at once. One of the martial arts' most common techniques, Kote-kaeshi helps students learn how to affect their partners' center of gravity from a safe distance.